1. Above rates subject to change in the event of postal increase or change in state tax law. 2. 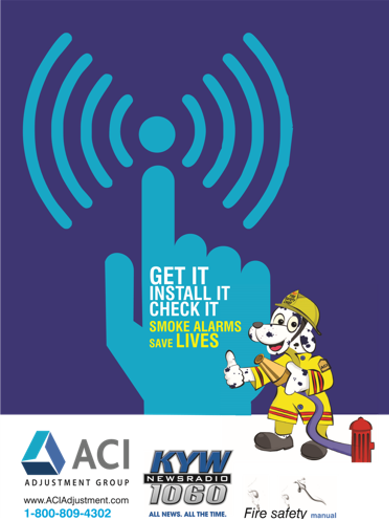 The advertiser above specifically authorizes and gives the United Public Adjuster’s Association (UPA) and Operation Fire Safety permission to distribute the above specified literature. 3. The advertiser agrees to honor each recepient of the literature, the offer as specified on proof of supplied material. 7. A bad check charge of $45.00 will be charged for each returned check. 8. The advertiser agrees that the UPA’s liability hereunder shall not exceed an amount equal to the total consideration actually paid hereunder by the advertiser to the UPA. In the event the UPA places this agreement in the hands of the attorney or collection agency for collections, the advertiser agrees to pay all costs and expenses of collection, including but not limited to, reasonable attorney’s fees or collection agent’s fees. In the event of suit to enforce any rights under this agreement, advertiser agrees that venue for such suit will lie exclusively in a court of appropriate jurisdiction in the county and precinct in which the UPA’s principle place of business is located as shown on this participation agreement.